Stephen's easy but very effective Stress Eradication Hypnosis Mp3 is currently available to you free of any charges. Clear the way to achieve your goals and improve your health with this unique and valuable hypnosis mp3 now. Experience a better you! More details here. After many years and thousands of hypnosis sessions, Stephen has retired from his hypnosis practice at the Queen Elizabeth Health Complex. He is thus no longer taking one on one client appointments. He does however remain very much involved in the world of hypnosis and helping people achieve success with it. Here are your options to contact and benefit from Stephen's expert hypnosis help. Experience his free, simple but very effective Stress Eradication Hypnosis Mp3 Program. 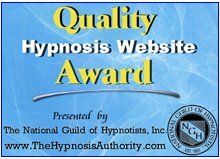 Work with Stephen to develop a powerful and enjoyable hypnosis mp3 session designed specifically and uniquely to help you achieve your goal. This is the investment that has helped many achieve the goals that have eluded them in life until now. Ask Stephen a question about hypnosis or how hypnosis might help you below.